Sarah and David were married at The Great Barn earlier this year. 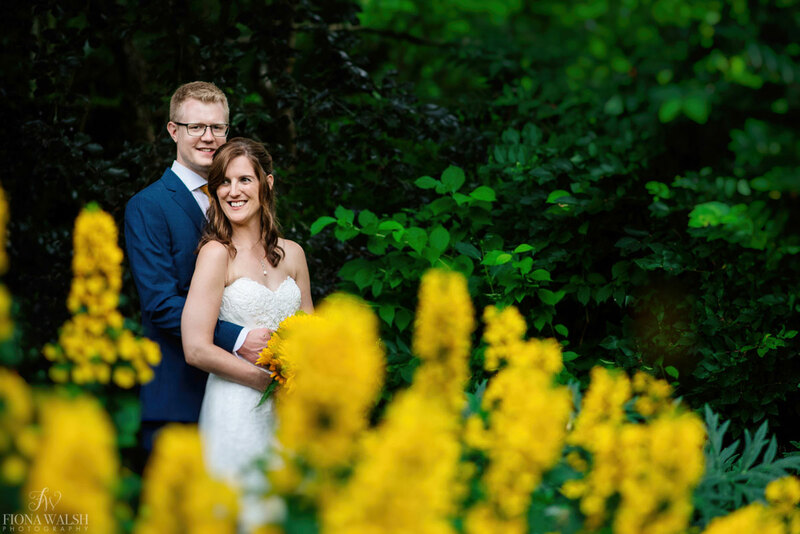 This lovely couple chose simple, but colourful accents to really bring their wedding theme together. Bright blue bridesmaids and cheery sunflowers, plus lots of fun and games in the garden before the wedding breakfast. Captured beautifully by Fiona Walsh. They made full use of the grounds and garden and even our twinkly festoon lighting when the night drew in. What a wonderful day!